You would think tennis coach Scott Williams would have his hands full topping a 2017 that saw him awarded as the USTA Florida Jr. Competitive Coach of the Year and named the USTA Florida 16’s Inter-Sectional Team Coach. This was in addition to serving as volunteer director for the USTA Florida Diversity Camps, and on a personal level winning the Florida father/daughter state championships. But now a little more than half way through 2018, the Boca Raton resident is well on his way to raising that mark. This year he stepped back into coaching high school tennis when an opportunity came up at The King’s Academy, a Christian college-preparatory school in nearby West Palm Beach. “The King’s Academy has never really had a tennis culture, outside of season,” he says of the K-12 school. “There was a lot of work to be done to start to build a foundation for the future teams to stand on. I hired two of my former head pros, Ryan Fitzwillliam from South Africa and Diego Paredes from Peru, to start helping me with an after-school club program that would be open to lower, middle, and upper school students throughout the year. Williams is the director for three USTA Florida Diversity Camps throughout the state in 2018, the long-running camps that list players such as Sloane Stephens and Sachia Vicery, currently on the WTA tour, as alumni. Williams and his daughter Jasmine earlier this year competed in their first father-daughter national tournament in West Palm Beach at The Club at Ibis. The coach, who has worked with former ATP world No. 2 Tommy Haas, doubles world No. 1 Max Mirnyi, world No. 3 Mary Pierce and Anna Kournikova, now takes his talent to helping his high school players, who he says continue to teach him lessons. Also grateful for the opportunity to work with Williams and some of the top coaches in the state are the USTA Florida Diversity Camp participants. The one-day camps provide a one-of-a-kind experience for junior competitive players ages 12-18 who want to improve as tennis players while also learning about college scholarship opportunities, tournament and additional support opportunities, and the latest physical training techniques. “Scott’s passion, energy and rapport with kids and coaches is amazing,” says USTA Florida Player Development Coordinator Andy Gladstone. 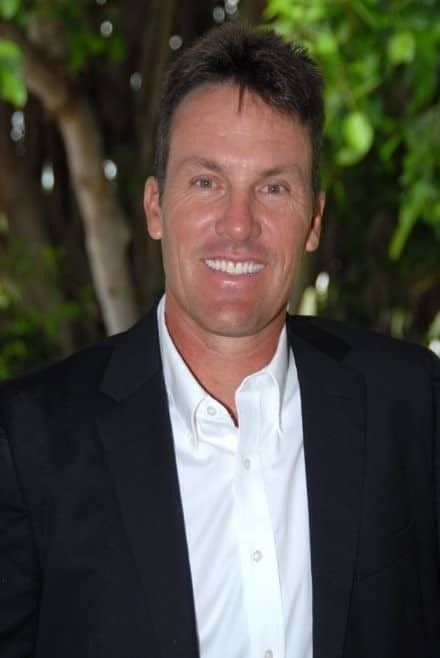 USTA Florida congratulates and thanks Scott Williams as the June 2018 Florida Tennis Volunteer of the Month for his dedication to serving diverse populations of kids throughout Florida, and serving school tennis in the Palm Beaches area.